We're Excited to be Expanding our Plumbing & Heating Services to Exeter! After more than 20 years serving the South Devon area, Moreheat Ltd. are delighted to announce the opening of our new offices in Exeter, extending our service area to cover the whole of the city of Exeter and its surrounding towns and villages. We can now provide our full range of services as detailed in the summary below. Please visit the relevant sections on our website or contact our friendly team for more detailed information. 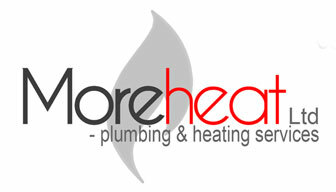 If you are an Exeter based home or business owner in need of an annual boiler service, a replacement boiler or boiler repair, Moreheat Ltd. can now serve you. Our experienced and skilled Gas Safe registered heating engineers will examine your specific situation and give you honest advice that they feel is in your best interest. For example, if you are looking to replace your boiler in the near future, we can assess your current situation, including budget, and future plans and suggest the most sensible option. As Worcester Bosch partners, we have great deals, including finance packages, on this well-known brand. However, we may recommend different brands depending on your specific circumstances. 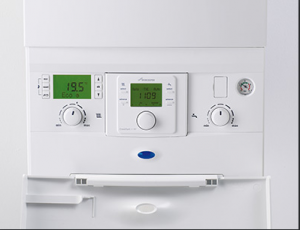 We can repair, install and replace natural gas, LPG and oil-fired boilers. For more details, please visit our ‘Boilers’ page. 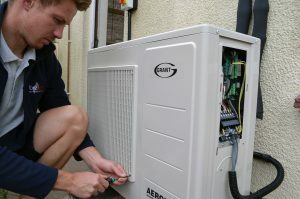 From repairing dripping taps to installing underfloor heating to connecting state-of-the-art SmartStat technology, Moreheat Ltd. can take care of any of your plumbing or heating needs. With almost 30 years’ experience in the industry, we are experienced with working in all kinds of environments with many different types of central heating and plumbing system. We are able to take on both small jobs for Exeter residents and large-scale projects for businesses in and around the city. You can find out specific details about some of the exciting developments we have been involve in on our ‘Projects’ page. Whatever the size or scope of the work, you will be treated to the same exemplary customer service and our prices will be competitive. Naturally, we are Gas Safe registered under registration number 529346. You can check the register here. We are also OFTEC registered. For more details, please visit our ‘Plumbing’ and ‘Heating’ pages. For a forward-thinking city like Exeter, it is important to consider ways of reducing the environmental impact of energy consumption. As well as helping Exeter residents and businesses to keep their systems running efficiently – an important factor in energy consumption – Moreheat Ltd. can offer a range of renewable energy solutions. We have been certified by the Microgeneration Certification Scheme, a national benchmark for the installation of renewable energy systems, and signed up to the Renewable Energy Consumer Code (RECC). To find out more about our solar anergy and air source heat pump services, please visit the ‘Renewable Energy’ page. 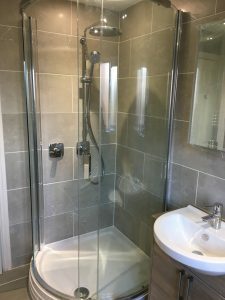 Are you looking to install a new bathroom in your Exeter property? Moreheat Ltd. can handle the entire process from design to installation, including applying any cosmetic finishing touches. We can cater our services to your budget. 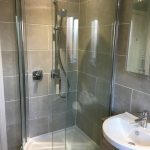 From high quality but affordable shower rooms for commercial premises to high end luxury bathrooms for a city centre penthouse, we can deliver on the brief. 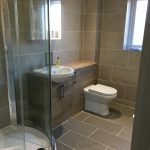 For more details on our bathroom services, please visit our dedicated ‘bathrooms’ page. Our new Exeter offices are based at Dix’s Field in the Southernhay area of the city. To contact our friendly team, please call 01392 927761 (Mon-Fri 8am to 5pm) or 07792 722232 (out of hours).